The Trump administration is targeting U.S. and Chinese e-commerce sites — Amazon, Alibaba, eBay, and others — in an effort to curb an outbreak of counterfeit brand-name products. What's happening: In a presidential memorandum today, President Trump ordered government agencies to report back by November on how to counteract an estimated half-trillion-dollar-a-year business. The move crosses at least two major points of tension with Trump — his acrimonious relationship with Jeff Bezos, the founder of Amazon, and his trade brinkmanship with China. “This is a shot across the bow to those companies. If you don’t clean it up, then the government will,” Trump trade advisor Peter Navarro said in a conference call with reporters. 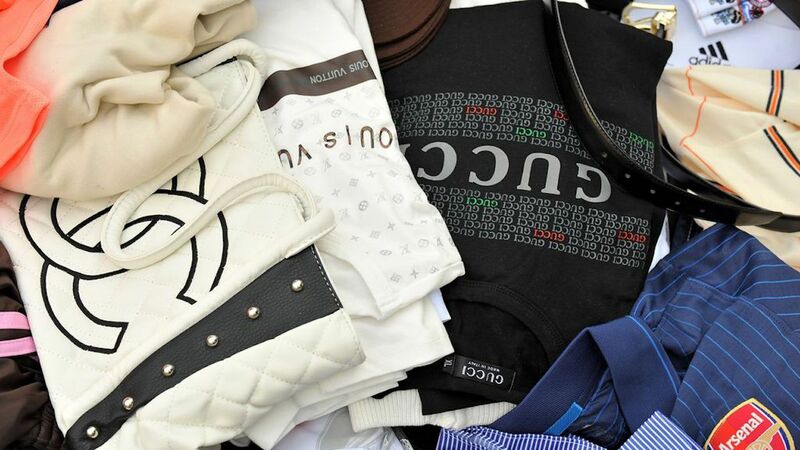 Counterfeiting of the biggest brand names is a major global business. Alibaba, the Chinese e-commerce platform, has had a particular problem with counterfeit goods on its Tmall site. The White House estimated that about $100 billion in counterfeiting infringes on American intellectual property. In an op-ed today in the WSJ, Navarro said a problem is that current law doesn't effectively police e-commerce. "Alibaba, Amazon and eBay face virtually no liability when they act as middlemen for counterfeiters," he wrote. Ebay and Amazon did not respond to emails.